A whimsical snapshot taken in Denver. Simple, seemingly insignificant beauty. 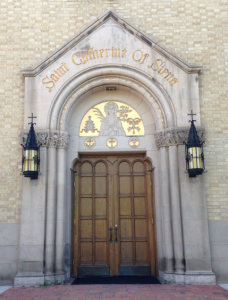 I thought the gold detail over the door at St Catherine’s (Denver) was exquisite. Ah. Where were we? Yes. My uninvited but very welcome travel companion was none other than St Therese. She was there in a beautiful basilica shrine in San Antonio, and there was a beautiful statue of her at Holy Ghost parish, too! Imagine my surprise then, when attending the patronal church of my other specialÂ saintly friend, St Catherine of Siena, I was presented with yet another statue of St Therese, hanging out at the same church as Catherine!! I can’t really explain my excitement, but I almost felt as if I found a true spiritual home, there. Before I knew what a special and beautiful church St Catherine of Siena would turn out to be, I already had a special interest in it. You see, the custodians of the parish are the Community of the Beatitudes, the community to which the well-known retreat master Fr Jacques Philippe belongs. I was privileged to attend a retreat under his direction almost a year ago, en Francais but with the assistance of a sister who translated for us. 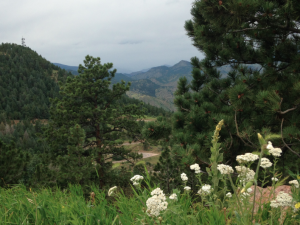 The retreat changed me profoundly, and I was interested to know more of their community. It was wonderful to be able to attend Mass at their parish with several sisters and lay members of the community present. Denver is the home of five of my former sisters, and it was such a delight to meet up with all of them there! 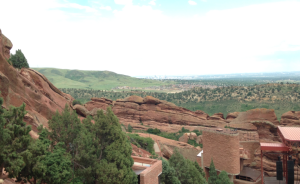 I was only in Denver for a couple of days, and it was an absolute whirlwind… we sure managed to cram a lot into very little time! 3 of them were from the same group with whom I entered; 1 was from the group ahead, and 1 from the group after. Surrounded by the kind of mountainous beauty for which Denver is so famous, I would have been crazy if time had not been spent outdoors, and one of my former-sisters is a climbing enthusiast, so she, another former-sister (my amazing and generous hostess) and I decided to picnic somewhere where we could enjoy some of the pretty views. It was perhaps the most still and relaxed time in the whole Denver part of the trip, on a gorgeous, temperate Summer’s day. I was blessed to visit some simply beautiful churches. Now I know the churches in the United States don’t have quite the same history and old-world charm of the churches I hope to one day see in Europe, but you American readers ought to know that you are nevertheless blessed with beautiful places of worship. I was struck during my visit by how impoverished we are back home in Australia, when it comes to beautiful prayer spaces that truly raise the mind to the Lord. The two churches in which I got to attend Mass in Denver were Holy Ghost Parish downtown, and St Catherine of Siena parish. Expansive views that surely raise the mind to God! This is taken from our picnic site at Red Rock. We strolled downtown and I bought a dark-chocolate coated, caramel-dipped Oreo… the land in which devices such as the telephone, the lightbulb and the iPod were invented did not disappoint with culinary innovation, I can tell you! I visited the shrine of St Frances Cabrini and drank from the springs there. Yes. I’m a tourist and I own it! 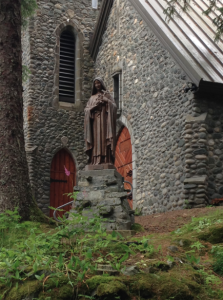 The Shrine of St Therese on a little almost-island just outside of Juneau, AK. Idyllic setting! 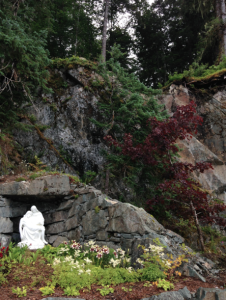 The pieta, nestled in quite a stunning garden near the Shrine of St Therese at Juneau. 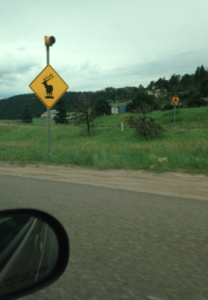 antlers and animal heads all over the walls (which might be normal in the US but was super novel to me!) We talked a bit about how mutual friends are doing, about work, about convent, about life… but we can both be kind of introverted at times, and so we weren’t super chatty all of the time. We just hung out. We went on a short hike, visited a GORGEOUS Shrine of St Therese on a little island, sampled the late Princess Diana’s favourite tea at a local teahouse (random! ), checked out glaciers and waterfalls, wandered the quaint little streets… even watched a little TV together. That felt good and healthy, too! It was to be at my NEXT stop, in Michigan, where I would met in person a number of board members, volunteers and benefactors of Leonie’s Longing… a tale I will share in the next and final instalment of “Couch-Surfing with ex-Cons“! Finally – it would be remiss of me in the wake of the recent #thanksconvent initiative, not to express my gratitude to the Lord for the friendships I made in the convent, for the friendships I’ve maintained since the convent, and for the new friends I’ve gained in post-convent life as a direct result of having lived that experience! Deo gratias, and #thanksconvent!